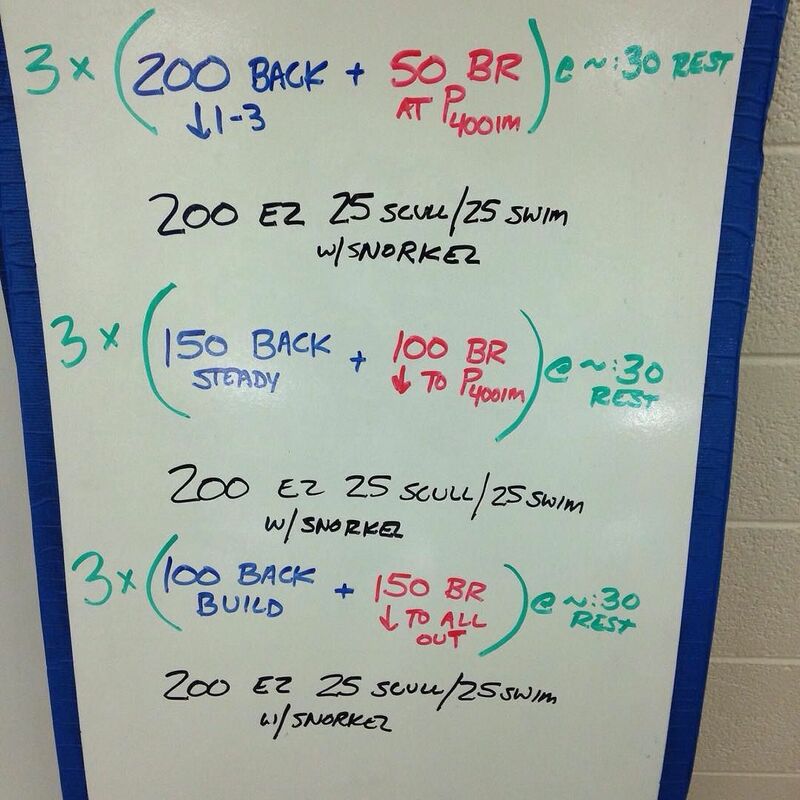 The emphasis on this set was swimming at 400 IM race pace for breaststroke while under some fatigue from backstroke. Editor’s Note: The Swimming Wizard’s goal is to publish at least one set, practice, or idea EVERY DAY for all of 2016! To keep it interesting, we need your help! Click here to help us achieve that goal by submitting one of your sets!